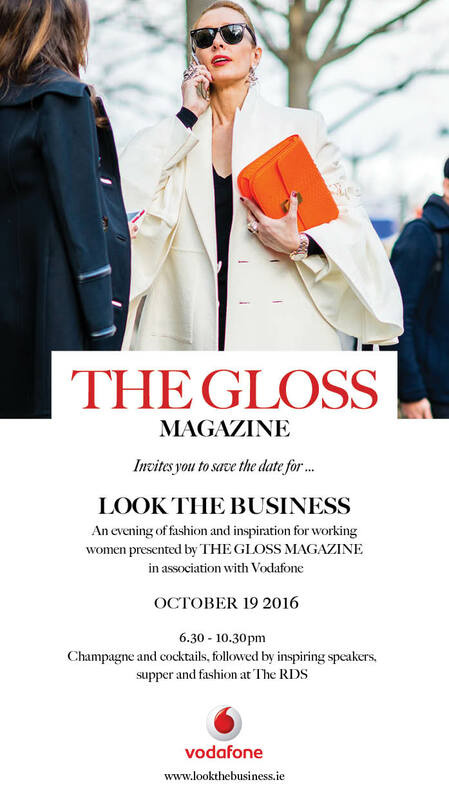 Look The Business in association with Vodafone is the go-to fashion event for working women. This event has been designed as a brilliant way to entertain clients and colleagues, to table-hop and network or invest some well-earned time focusing on how you look and feel at work. Autumn and winter trends will be translated for the office, with effortlessly elegant looks from Samui, Louise Kennedy, LK Bennett, Selected Femme, Marks & Spencer and Kildare Village. Update shoes, bags and accessories and learn the steps to polished, professional make-up. No-one leaves empty-handed: there’s a chance to win incredible prizes, and a gorgeous gift bag for every guest. high-profile role and how fashion can take you forward. – Take advantage of a chance to network over champagne and supper using our VIP app. – Win wonderful prizes in the Designer Handbag Draw. – Take home glamorous giveaways and business insights. For your chance to win two tickets simply click on the save the date below. We are combining forces with The Irish Times to offer you the chance to win two tickets to Look the Business on the 19th of October in the RDS. For your chance to win two tickets simply click on the save the date below.